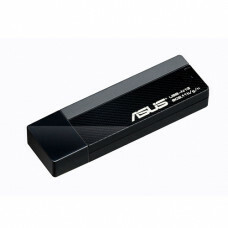 Asus 3100Mbps 3T3R PCE-AC88 AC3100..
Asus PCE-AC51 WiFi-AC (2,4+5GHz) max. 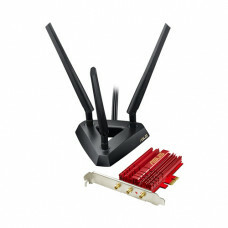 733Mbps, PCI-e 2.0 x1IEEE 802.11 a/b/g/n/ac, 2 x R SMA Antenna..
Asus PCE-AC55BT WiFi-AC (2,4+5GHz) max. 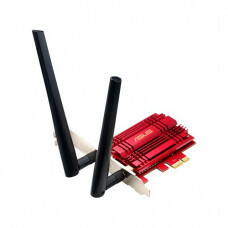 1,167Gbps, PCI-e 2.0IEEE 802.11 a/b/g/n/ac, PCI Express, 51 ..
Asus PCE-N10 WiFi max. 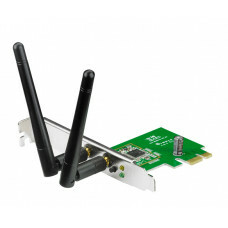 150Mbps, PCI-e x1PCE-N10 150Mbps 802.11b/g/n Wireless PCI-E Adapter2 jaren Ca..
ASUS PCE-N15 WiFi-N (2,4GHz) max. 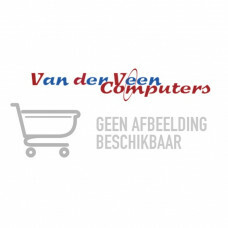 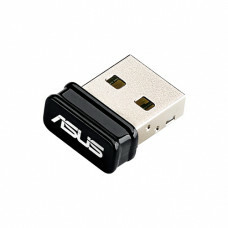 300Mbps, PCI-e 2.0 x1PCE-N15 - 802.11 b/g/n 300Mbps, 2.4GHz, PCI-E..
Asus USB-AC53 Nano WL 1200Mbps USB AC1200..
Asus USB-AC54 WL 1300Mbps USB AC1300..
Asus USB-AC56 WL 1200Mbps USB 3.0..
Asus USB-BT400 Bluetooth 4.0-dongle 10m met USB2.0-interfaceUSB-BT400, Bluetooth 4.0, USB 2.0, Up to..
Asus USB-N10 nano WL 150Mbps USB..
Asus USB-N10 NANO WiFi-N (2,4GHz) max. 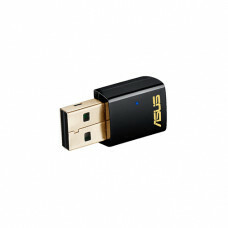 150Mbps, USB 2.0Wireless-N150 USB Nano Adapter2 jaren CarryIN..
Asus USB-N13 WL 300Mbps USB..
ASUS USB-N13 N300 WiFi-N (2,4GHz) max. 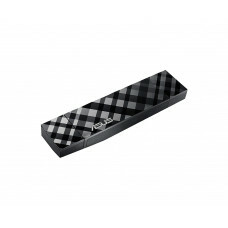 300Mbps802.11n Netwerkadapter - 802.11b/g/n, USB 2.0, 2.4GHz2..